You think that Nepal is expensive to travel. It is quiet a difficult question to answer. If I say Nepal is expensive to travel. I am both right and wrong. In fact, answers vary with people. The answer to is Nepal expensive to travel is so ambiguous that you are confused whom to believe. Well, your travel costs in Nepal depend upon a lot of things. Some of your choices while some of the circumstances. A traveler’s budget can be affected by many factors. The food you eat and where you choose to stay determines most of the cost that you bear in Nepal travel. 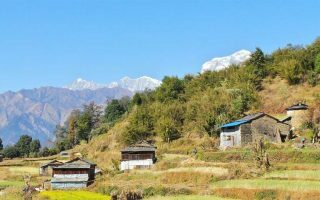 I have focused this blog on how Nepal is a lot affordable to travel. Read on to manage your travel costs to Nepal. Tourist fees in Nepal vary according to your Nationality. Either you are from SAARC nations or outside of these nations. The SAARC includes nation of India, Nepal, Afghanistan, Bangladesh, Bhutan, the Maldives, and Pakistan & Sri Lanka. In some cases people from SAARC nations have to pay less as compared to non SAARC people. But you do not need to worry as Nepal doesn’t charge much fees to anyone outside. No matter about your nationality, just follow the rules and regulations of Nepal, you will have a beautiful experience here. Trekking packages is one of the areas that can cost you more depending upon what you choose. Trekking in Nepal is cheaper and affordable than other trekking destinations in the world. Packages like the Everest Base Camp Trek will obviously cost you more than other packages. Purchasing adventure packages like bungee jumping, rafting, skydiving, zip flier, and paragliding as they are also cheaper in Nepal. Just find the activity that you love in Nepal and it will be way cheaper and affordable. Hotels and accommodation while your Nepal travel is easy to find. The rates of 5-star hotels in Nepal will differ completely from one another. We recommend you to book hotel prior of your visit. You can get comfy hotel rooms for accommodation in Thamel of Kathmandu as per your budget. For backpacker, Nepal is a heaven. Don’t worry. Nepal is so culturally diverse that it holds one of the most delicious cuisines that come at a very low and affordable cost. You shouldn’t miss Nepali food if you visit Nepal. In most of the Thakali restaurant, 3$ for veg and 4$ for non-veg is the maximum cost. Other local delicacies like Momo, Thukpa and Chowmein is very popular not only with the natives but also tourists. These local delicacies only cost you as low as 1$. I have listed out most of the factors that will determine cost of your Nepal Travel. Most noteworthy, Nepal is a friendly and hospitable welcoming nation which doors is open to everyone who wishes to come & experience its natural and cultural diversity. Contact us if you need any type of assistance. We are happy to help.